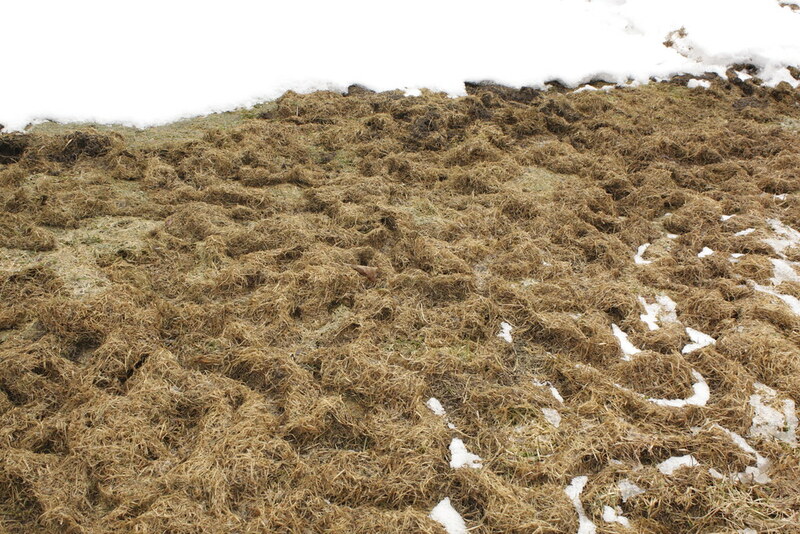 In the back of the Barton house, the melting snowpack reveals shrew tunnels under the thatch. I have never seen this many. I think it has been a dearth of cats to keep them under control. This is out the back bathroom door. There are also mole tunnels everywhere, which is as I want. My two rhubarb patches are reviving. This is exciting because it's the first fruit of the year. 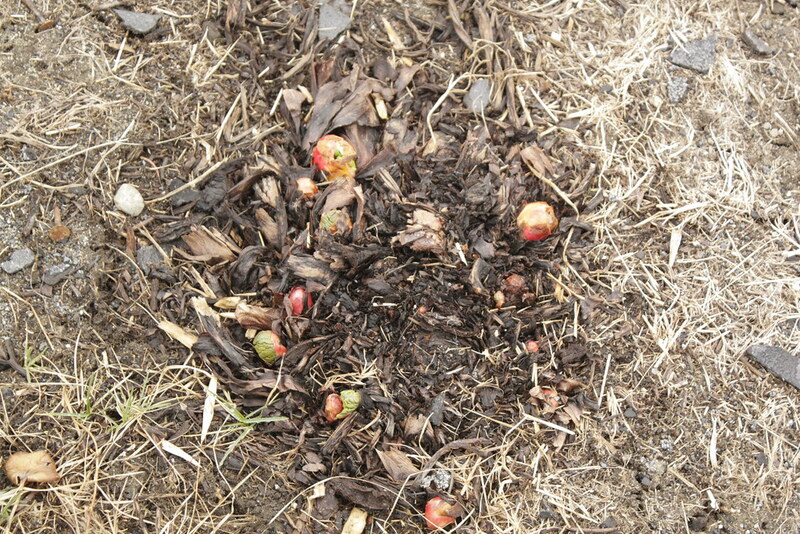 These are some species of Canadian rhubarb that thrives in the cold climate and short season. In the past, Wingnut and I have observed and recorded many ant aphid farms on the rhubarb (here and here) .